My style and design aesthetic has evolved over time. I no longer shop and create based on trends. Don't get me wrong, I do still like a good trend, but it no longer is my motivation for purchasing clothing. I now make more informed purchases and look for classic silhouettes made from high quality materials like 100% silk. It's a sustainable and practical approach to shopping. I look for versatile pieces the I can wear for all types of occasions and pair with other items in my closet. I was happy to partner with Lilysilk who meets these expectations and then some. They not only offer beautifully made, high quality clothing from 100% silk but also at affordable prices. They have all your wardrobe essentials like silk camis, collared shirt, even bedding, sleepwear and more. P.S. Great gift ideas for bridal parties and holidays! The Lilysilk Cami is a wardrobe essential. 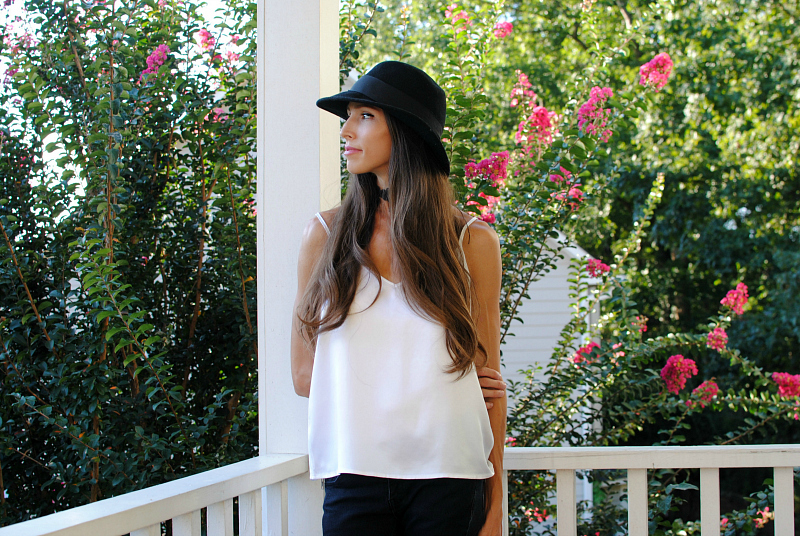 This cami comes in basic colors and has a great shape (not too long or short). Made with the finest %100 silk. It's a stand alone piece but also perfect combo for pairing with jackets and sweaters. The Peplum Hem Silk Shift Dress is the perfect LBD. Yes, it's darling! The flounce sleeves and peplum hemline give this "little black dress" a feminine twist. It's modest enough for day wear and can be styled with heels for special occasions. Even add a pair of jeans underneath as a tunic. 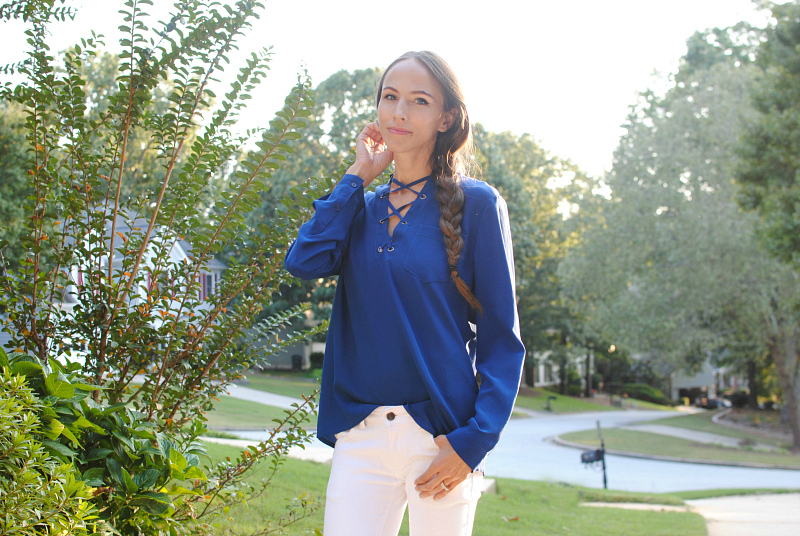 The V-Neck Blouse I call my "go to." It's the perfect transitional piece to go from work day to evening attire. It's a year round essential and offered in many different colors and collar details. This indigo blue is my favorite. Shop more of the Lilysilk Womens Collection here. Please use coupon code: trashtocouture for 16% off women's clothing and comment "#eyemaskgift at checkout to receive a free eye mask with purchase at LilySilk. * In Collaboration with Lilysilk. We had been here to get the money cheats for gta 5 online when we need to have the rpg for the game. I always pay attention on wardrobe. And I even wrote argumentative essay about the influence of the clothes on our life. here I found really helpful info about it's writing. With every new season, designers and fashion brands come up with innovative and unique styles, designs and patterns. In today's fashion world, there is something to fit and suit every style, personality and physique. Cool advice. With this change in our wardrobe outfits, one needs to keep in mind the fashion trends going on. We all are different and so is our fashion and style for dressing up but the fashion trends are not different for different people, they remain constant. The fashion industry includes four levels: the production of uncooked materials, basically fibers and textiles however also leather-based and fur; the production of style goods via designers, manufacturers, contractors, and others; retail sales; and diverse styles of advertising and marketing and promotion | Source by Affordable Assignment Help.